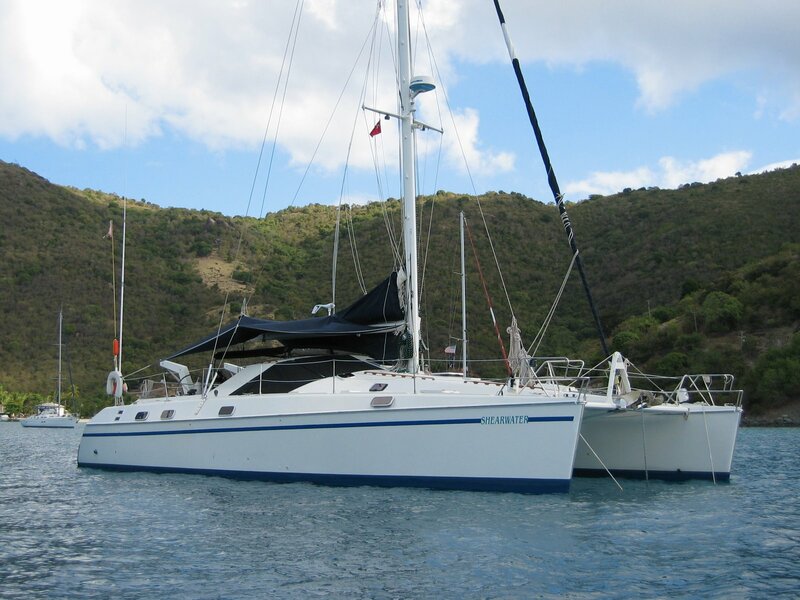 Shearwater was sold in 2013! We hope the new owners enjoy her as much as we did. What amazing adventures we had aboard her! Fabulous places and the experience of a lifetime. Our future adventures will be on land or on someone else’s boat! 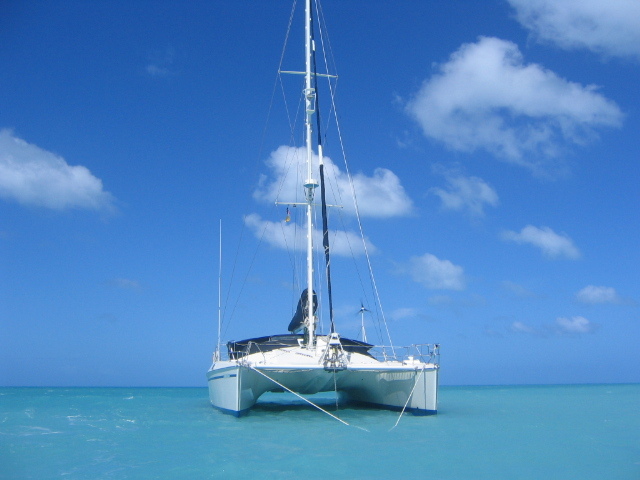 Our vessel is a Privilege Catamaran built in 1992, purchased in 2002. It is approximately 50’ long and 26’ wide. It has five sleeping cabins (three queen size berths, 1 king berth and a crew cabin that we use as a storage garage). We have 4 heads (3 with separate showers), a large salon, fully outfitted navigation station, full galley and large outdoor areas for lounging. It has full heat and air conditioning, fresh water RO machine, refrigerator and freezer, electronic charts/navigatoinal equiptment, solar panels and a 13’ center-console 50 hp dingy. It was refitted in 2001 and has been professionally maintained since. It is a great vessel for off-shore saling haveing made the trek from Newport to the Bahama’s many times. It’s home base is now St. David’s Harbor, Grenada.